MMD Productions, LLC, produces fast and effective video, photography and multimedia. Owner, Kevin Walsh has over 30 years experience as a photographer, video producer and secondary and college educator and, with partners Pete Kalinski and Thomas J. Reed, Jr. created and co-produced the web-series Digging Detroit. His clients include businesses, schools and non-profits in addition to individuals. (Link to testimonials.) Kevin is also an author of a textbook and his blog MyMediaDiary.com has been featured on Huffington Post and national newspapers over 50 times. In 2000, he was asked to design the studio and curriculum for West Bloomfield High School's video production program. Within 5 years, the program had grown to serving over 400 students annually. In 2004, he established the Orchard Lake Student Film Festival with Micah Greene which was one of the first schools in the nation to produce feature length student films after school. His former students have been honored at The Sundance Writers Workshop and the Tribeca Film Festival and have worked in films such as The Dark Knight, Iron Man 3, Transformers 4 and television shows Californication, Ice Road Truckers, Family Guy and American Dad. Jason Potash, Producer at Storyboard Entertainment, with former teacher Kevin Walsh at 2010 Tribeca Film Festival for the award-winning short, "Some Boys Don't Leave." He is president of the non-profit Digital Arts Film and Television that sponsors the Michigan Student Film Festival and media-related workshops and symposiums for students, teachers and professionals. He is an emcee at symposia, workshops, movie screenings, festivals and has twice hosted the Macomb Symphony Orchestra's special concerts honoring film. In 2014, Kevin served associate producer and set photographer for the feature Dial-a-Prayer with William H. Macy and Brittany Snow. 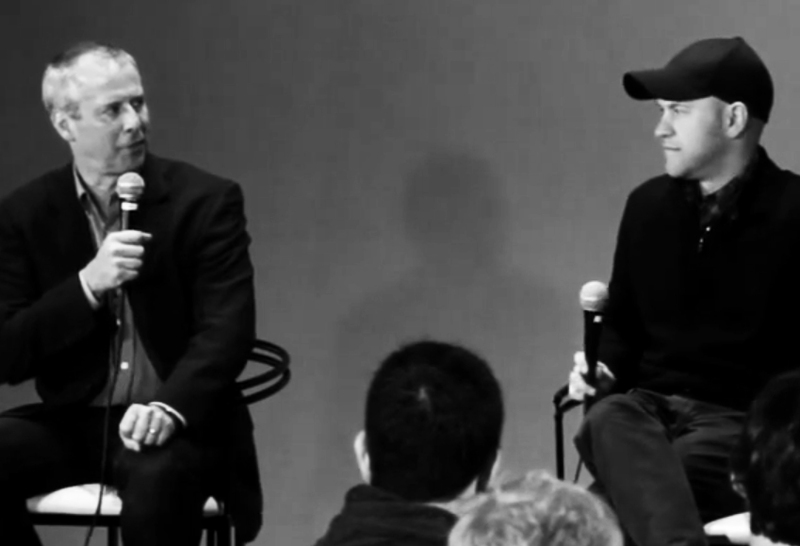 DAFT President Kevin Walsh with Pixar's director Dan Scanlon ("Monsters University") at a Q&A for students in May 2013. His 2006 textbook, Video Direct (Teacher’s Discover, 2006) has been sold in over 40 states., founded the media blog MyMediaDiary® in 2013 and has been a nationally-featured writer and media producer on Huffington Post. His photography and video productions have been featured in the Detroit Free Press and seen on Channels 2, 4 and 7. He is also the host of the iTunes podcast, MyMediaDiary. Order Kevin's book, including a student workbook, teacher's manual and CD with video examples, a video quiz and a pdf of the workbook. Kevin's text, sold in over 40 states.